I have always had a love of art and an artistic streak, but I really started painting in earnest about 5 years ago. I find the experience relaxing and meditative. 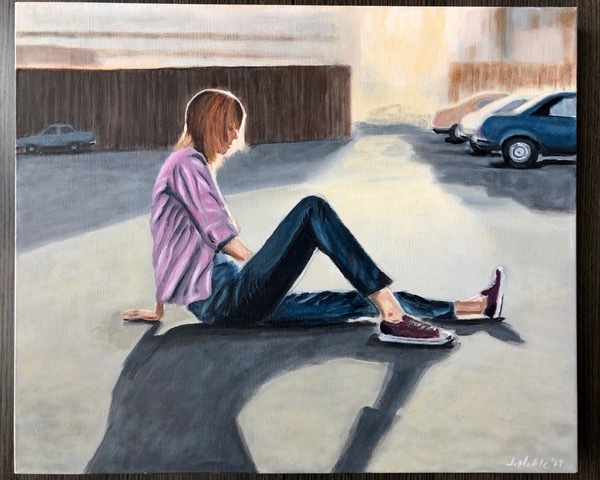 You will notice in my art I like to paint scenes and subjects that are contemplative depicting people and images that tend to reflect separation and transition, two things painting does for me as well. Painting takes me out of my surroundings and puts me in a different head space where the canvas is my only focus. I am inspired by artists like Edward Hopper and Andrew Wyeth, I’m drawn to mid-century artists and styles and love the contrast of bright light. Thank you for visiting my page.